I will talk with you personally and together we will conduct an in-depth discovery of what your loved one's lifestyle preferences, social tastes, medical and care needs are. Then we will review the financial situation and I will assist you in developing a budget taking into account things such as insurance premiums and potential benefits that may assist in covering a portion of the cost. The search for Assisted Living, Memory Care, Personal Care, and Nursing Home care just became a whole lot easier. for Memory Care for your loved one? The search for a new home for a senior with memory care needs usually comes in a time of crisis. That can make a confusing process into a stressful and overwhelming ordeal. 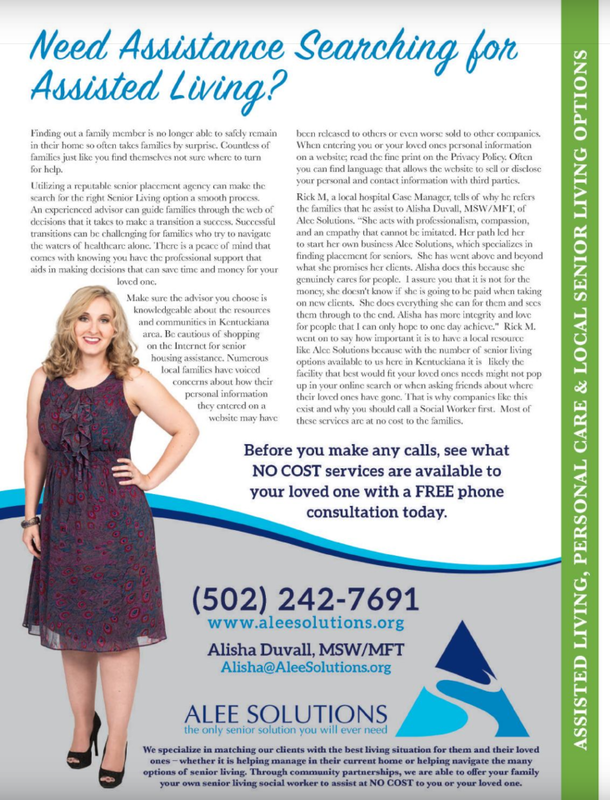 With such a critical demand for our Making-a-Move services, I wanted to offer something back to the community by matching the need with the best care alternatives for each of our clients. With our reputation of honor and integrity it has given us the ability to partner within our community allowing Alee Solutions to offer this Making-a-Move service FREE. The Kentuckiana retirement industry has joined together to make what is a highly emotional and frustrating time for our clients into a time to feel energized by the loving personalities that care so dearly about the ever aging members of our community. 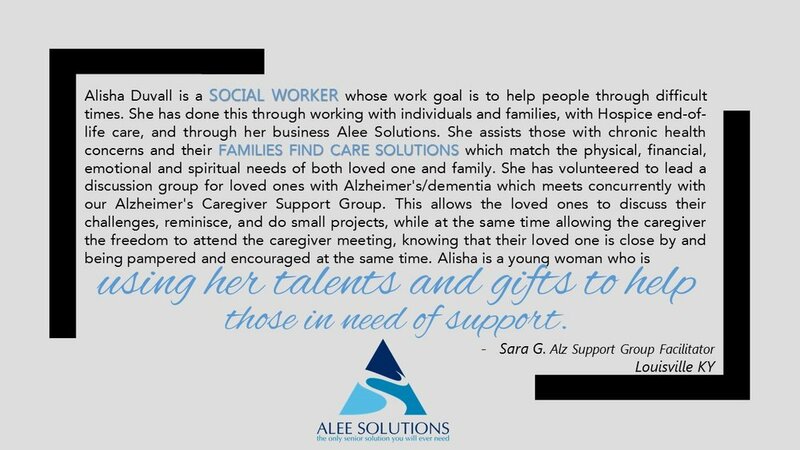 Alee Solutions is here to reduce your anxiety by doing the legwork for you. Now, isn't that cool? So take a moment to catch your breath and hand it over to us. Narrowing down from the list of nearly 282,800 Senior living facilities in the US can be overwhelming. Fear of leaving off a great facility can often lead to families touring and calling every facility in their area. That can be time and energy better spent focusing on your loved one. That is where I come in. Having worked as a community partner, at a local Hospice company, I have been in and out of these facilities leaving me with a unique perspective unmatched by other case managers or placement agencies. After narrowing down the long list of communities available in your area, to a tailor-made list specifically checking off the boxes of what is important to you and your loved one, now it is time to begin to tour. Touring communities can be just as complex as choosing a new health insurance plan. With all the bells and whistles each campus offers it is difficult to stay focused on what is most important to inquire about for your loved one's specific desires and future health needs during a tour. That is where I come in. I recommend that you generally see 2-3 communities in a day and no more if feasible. Here is why, on average a tour can last between 1.5 to 2 hrs. When you get to that third tour of the day often you and your loved one are worn out. This can lead families not noticing things you would have or confusing one feature at a community as being at another. If we didn't find the right fit at those communities we can always schedule another day to see more communities. I will meet you or your loved one at the first community on our list to tour that day. In many cases, bringing a loved one with memory care needs to tour can be more harmful than beneficial for them even if it helps to make families feel that they are giving them choice. We can discuss your loved ones specific memory loss needs and I can make a professional recommendation as to that might work best for their situation. Now that we are at the community, I will make the introductions and join you on the touring pointing out key features and asking questions that directly pertain to you or your loved ones wants and needs. Most of the communities will sit with you and their Sales and Marketing Director will ask questions to discover briefly about the the senior and focus the tour towards the information they gathered during that discovery session. The Sales Director will then take us around the community to see the community amenities offered on their campus and walk-through the various apartment styles that would best fit what we are searching for. The tour will likely conclude with a review of a brochure packet and pricing structures. After the tours we then compare the communities to see which best checks off our boxes for your and your loved one. Having now narrow down the best choice, we highly encourage them to allow us to schedule a return visit to enjoy a meal or join in a social event so that they can meet other Residents and get to know their future home. 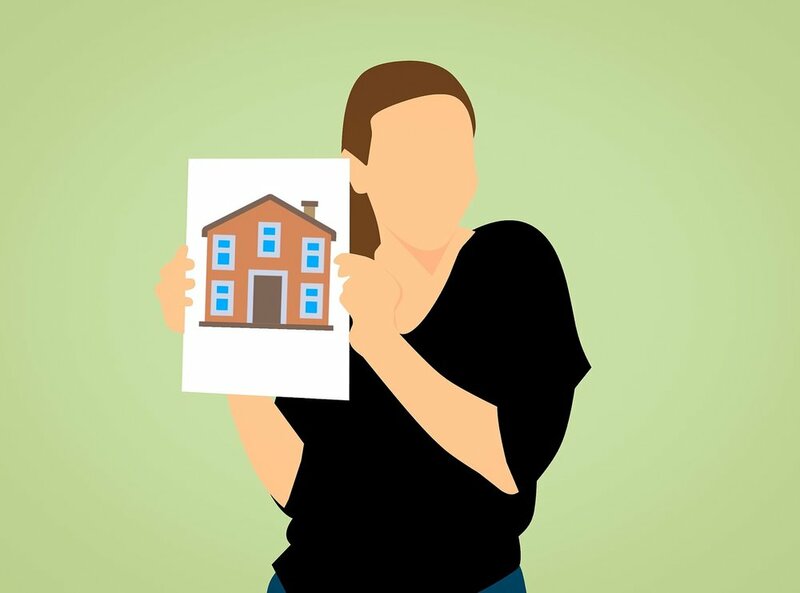 If the client decides on a community, we will be there to assist them with lease signing and any sales negotiations and incentives that can benefit them.